Get out of a hairy situation, with I Plus Inc.
Pets are amazing. From a young age, we always had a dog. Growing up, you see all the good things, like love and a friend. Once you get older though and have your real own pet, you see everything else. The baths, the feedings, the walks, and sadly, the hair. So much hair. Like, how did I miss all this when I was younger, amount of hair. Now that I'm older, I traded in a dog, for a less work, more love, cat. The hair is just as bad. 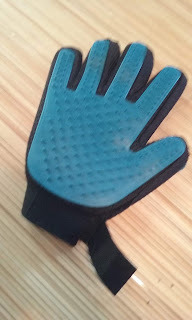 That's why we needed this deshedder glove from I Plus Inc. Right off the bat, I have to say, Jane hates being brushed, she hates all brushes. This is the first "brush" she sits down for and lets it happen. she even comes back for more. It's amazing! 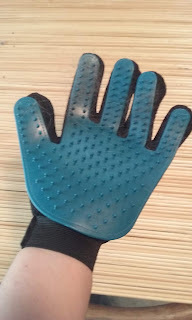 It features, the brush on both sides of the glove, so it works for left and right handed people easier, plus you can switch hands and keep brushing, instead of stopping to clean out the glove brush. So far the hair has come right off without any problems. 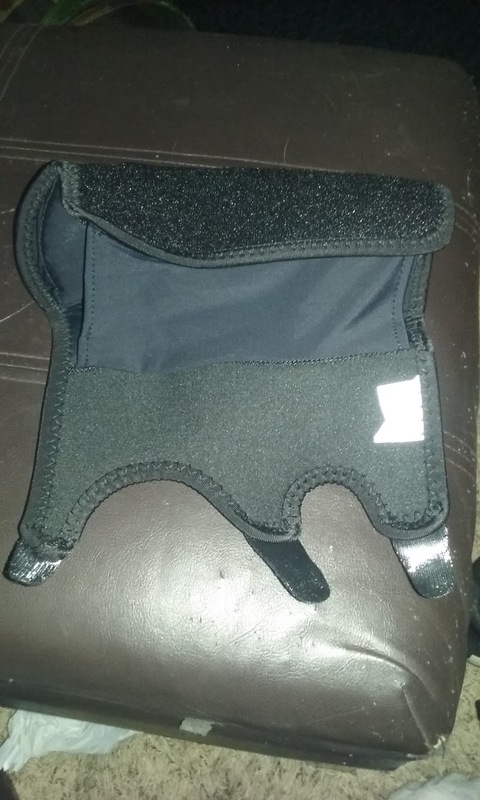 I don't know how to drescribe the size besides saying that my step daughter, myself, and my husband all fit into this glove comfortably. the velcro keeps it tight to you, so it won't fall off. The only issue I have with this product, is the one in my own head. 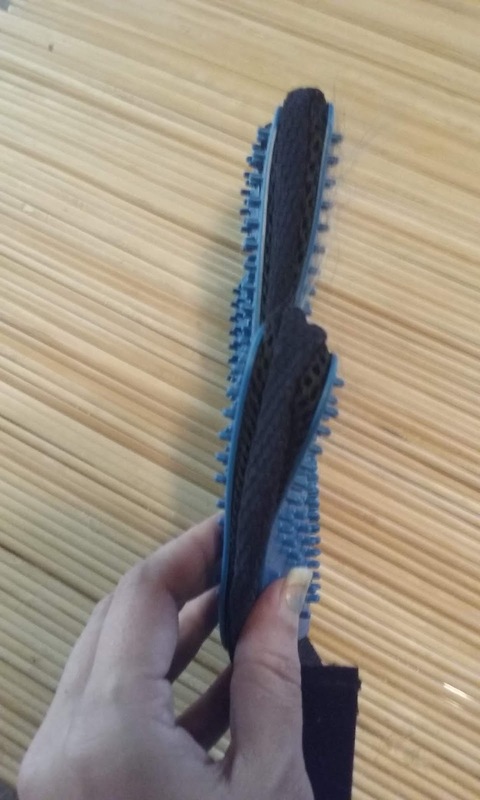 How hard do I brush her? I don't want to hurt her and I definitely don't want her hating this glove in the end. I guess, you just have to guesstimate and look at the amount of hair you are ending up with on the glove. 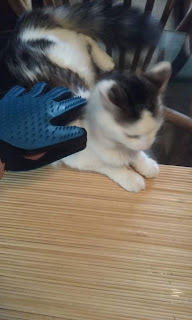 I'm so happy with this glove deshedder brush and so is Jane. But her favorite thing is her tunnel! Before you leave, let me know what your pets favorite toy is, in the comments below. Thank you so much for reading everyone, as always I appreciate all of you and I couldn't do this without you! 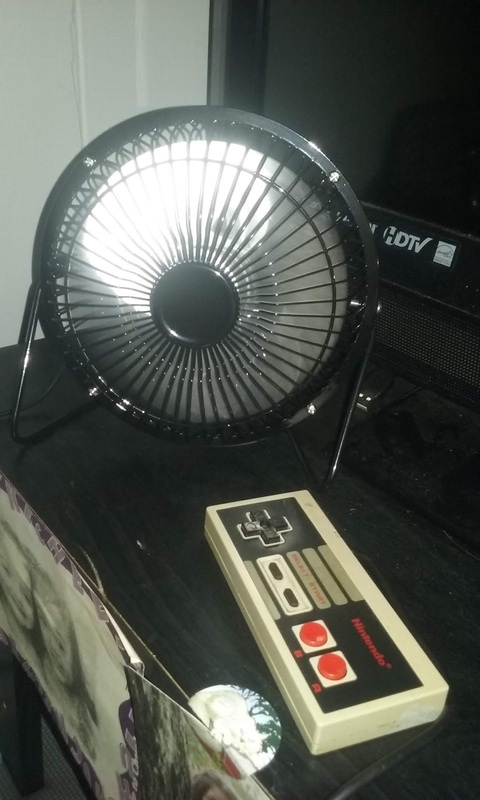 Sometimes, it gets so hot in the summer, it feels like the AC isn't doing a thing. Luckily it has been cooler here in Indiana the last few weeks, but it still gets pretty warm in bedrooms. 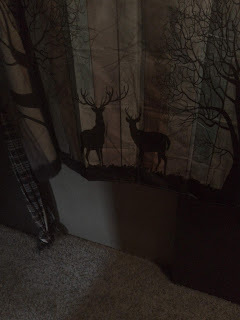 My step daughter's room and my own bedroom get way too hot, no matter how hot it is outside. We thought about portable AC's, but then you have drain them out a window and that creates so many more problems. Box fans are too big and get in the way, bottom line, we wanted something smaller and portable, to be used in any room. 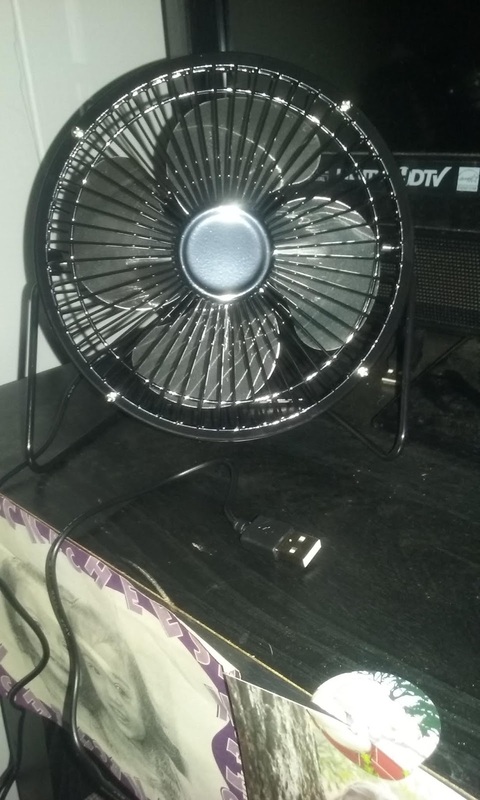 I definitely feel like I got all of that with this USB fan. 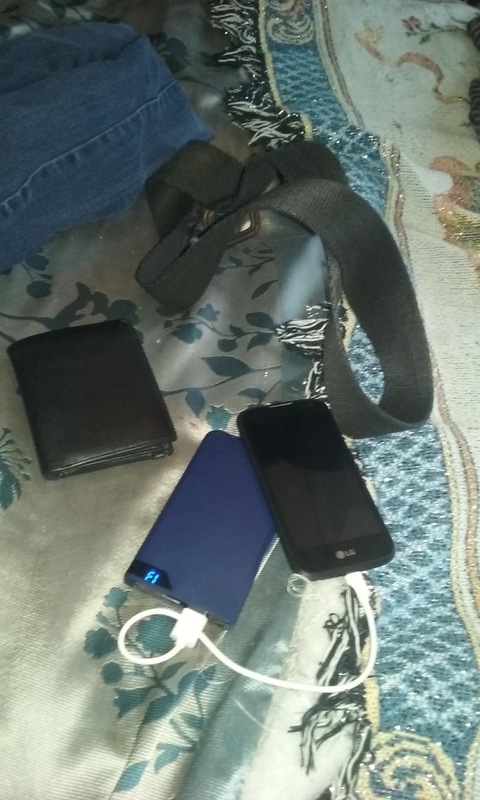 All you need is a portable charger or a wall charger with a USB slot and you are good to go. Free to move it from room to room at will. Just because it's small, doesn't mean it doesn't put out some air. 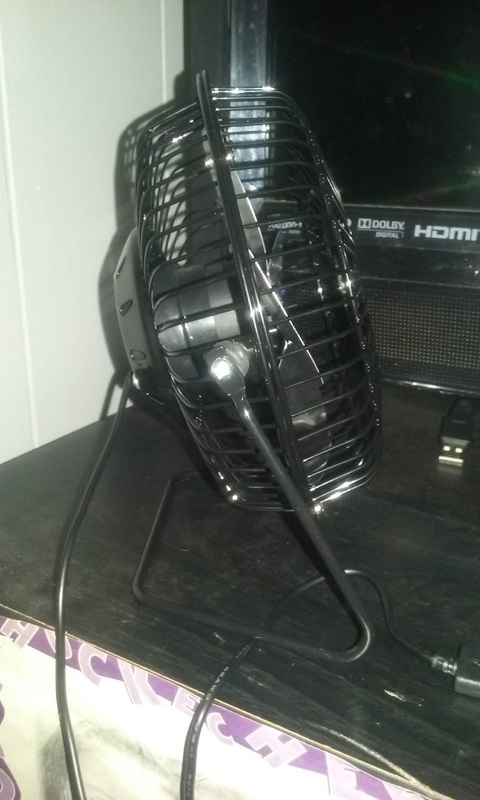 My step daughters small room went down 5 degrees in just half an hour, with the door closed, and only this fan. It cooled it down enough, she was able to actually sleep in there this last weekend. This is a simple fan, feet, a cord, and a power button. It's pretty quiet and like I said, it really blows. I was actually impressed with how well it works and it is perfect for what we need it for. Our last test? Taking it on a hour long trip with a friend who doesn't have any AC. I really hope it works! Thank you so much for reading, I couldn't do this without all of you. Always remember, you are amazing! 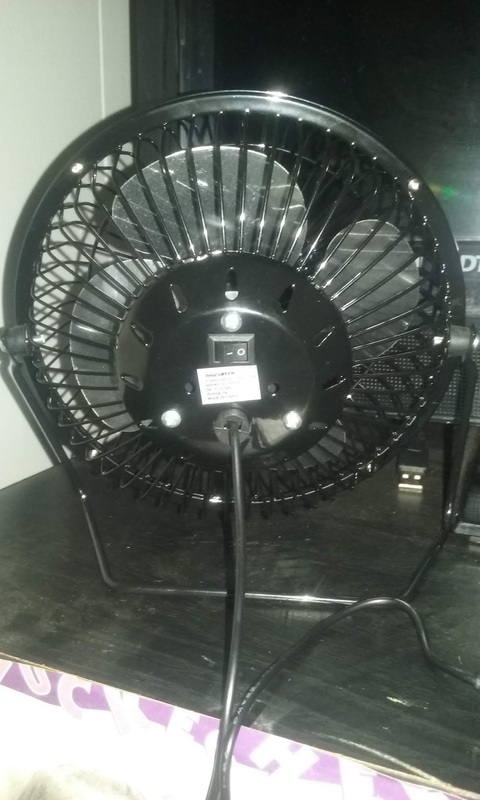 I received this fan at a discount in exchange for my honest review. All opinions are honest and 100% my own. 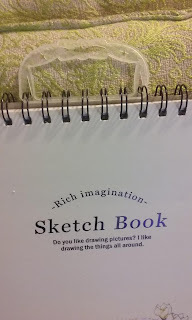 Sketch your way to happiness with Lasten Sketch books. When I was younger, drawing stuff was amazing. You thought it and you drew it. My kids are just the same and I love their imaginations and memories as well. When it comes to kid's art, I choose the fridge to display them, since most books are tear out or even single sheets. 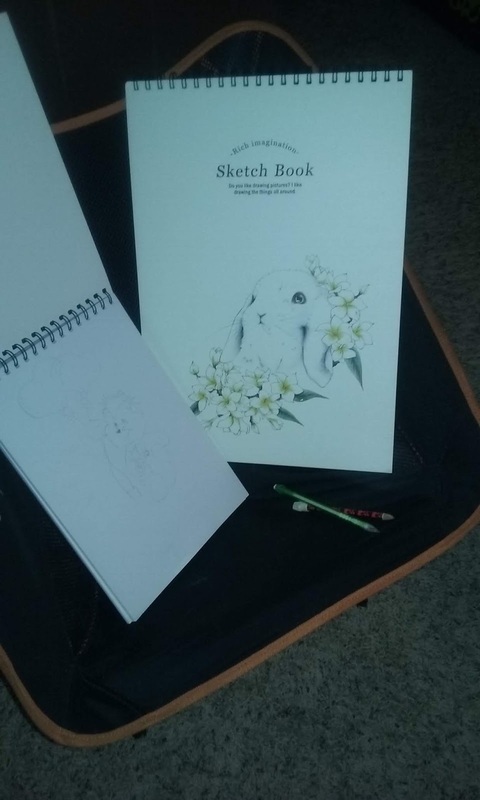 My OCD doesn't love it and I needed a place that they could keep most of their drawings, and only give me their favorites. 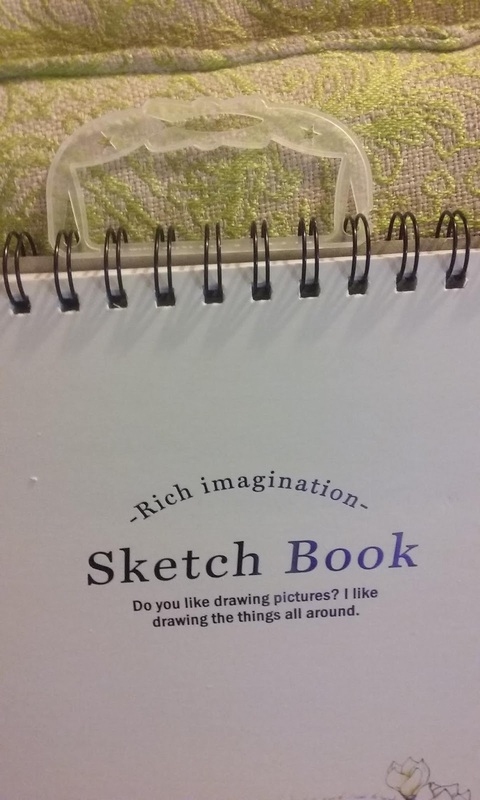 This sketch book from Lasten, is perfect for that. Unlike usual books, it comes with a spiral edge, so kids can draw and flip over the page, with no worries of it ripping out. Unless they get too rough that is. It really saves space and my sanity. The pages aren't as thick as I thought they would be. I assumed they would be more like watercolor pages, then copy paper. These pages fall right in the middle of those. It isn't thin or overly thick. I vigourously erased with an eraser and it didn't rub off the paper or rip it. The next thing we need to talk about it size. You all know by now, I have problems with reading the dimensions of items. 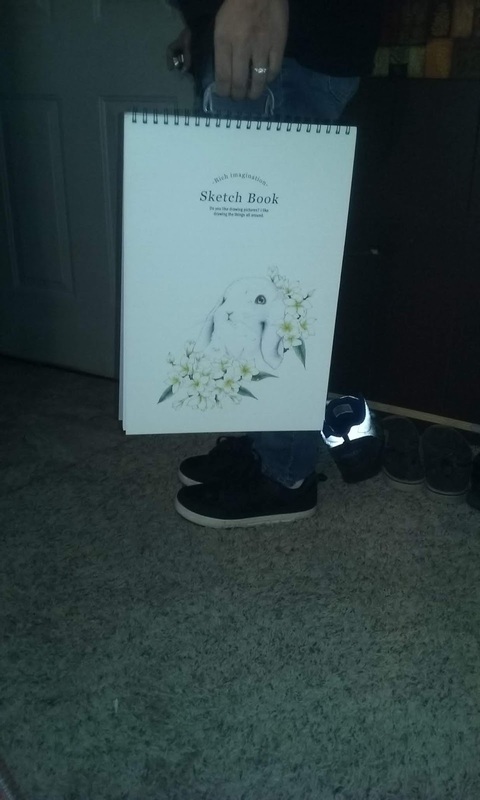 When this set came, I was amazed by how big the larger book is, if I had to guess, it could be about a foot and a half, with the smaller one being close to a foot long. Bigger paper, means bigger pictures and my kids are loving that! Last but not least, and probably my favorite part, these books have a handle. 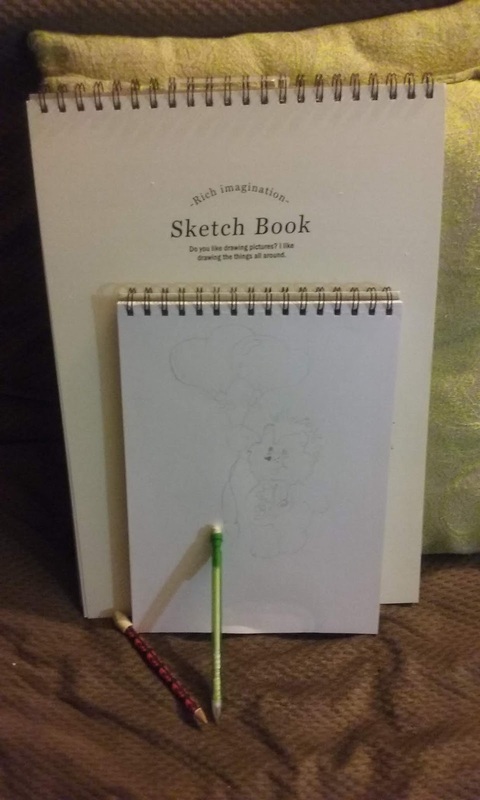 Instead of taking up room in their arms, kids can carry their sketch book easily and even have another hand open to carry other things. 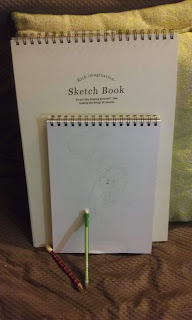 his is the first sketch book I've seen, with a handle and I think it is genius! If this sounds like something you or your kids would love, make sure you check out the link below. I have yet to find a fault in these books and I highly recommend them! As always, thank you so much for reading everyone. Art is amazing and I'm hoping to bring it to everyone's attention. Tell me below, what art means to you. 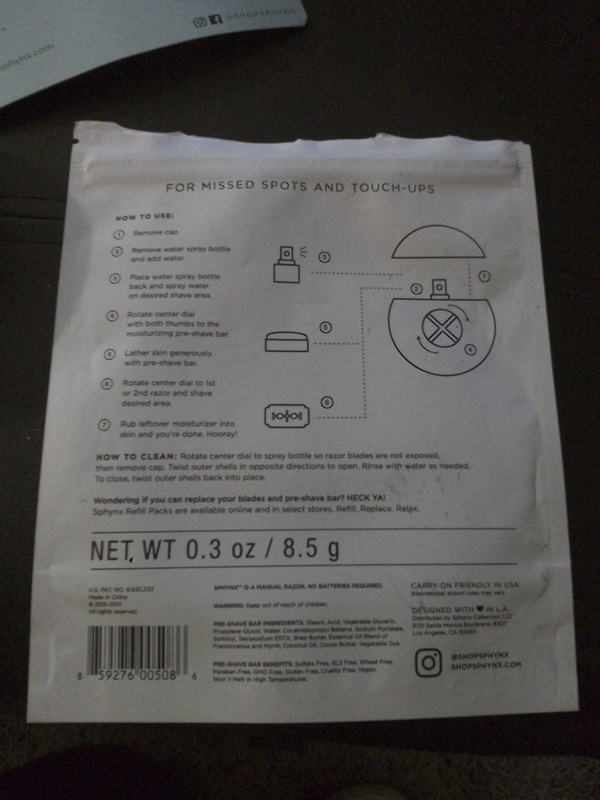 I received this set at a discount in exchange for my honest review. All opinions are 100% my own. 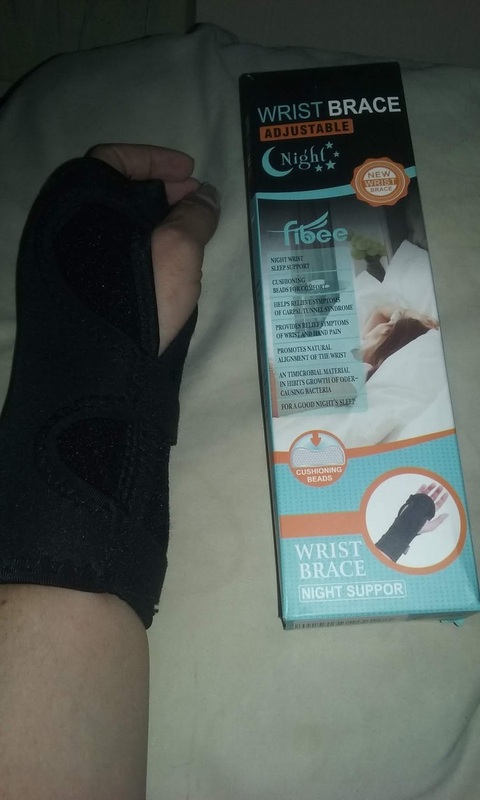 Keep your wrist support while you sleep! Fibro has done some horible things to my body, but arthritis seems to do a lot of damage too. 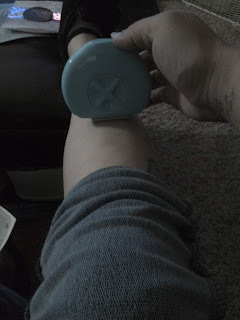 Back in the day (haha) I never needed any kind of support or aches and pains for that matter. Now I could definitely use it. My mom though, is the one who reviewed this wrist brace for me. 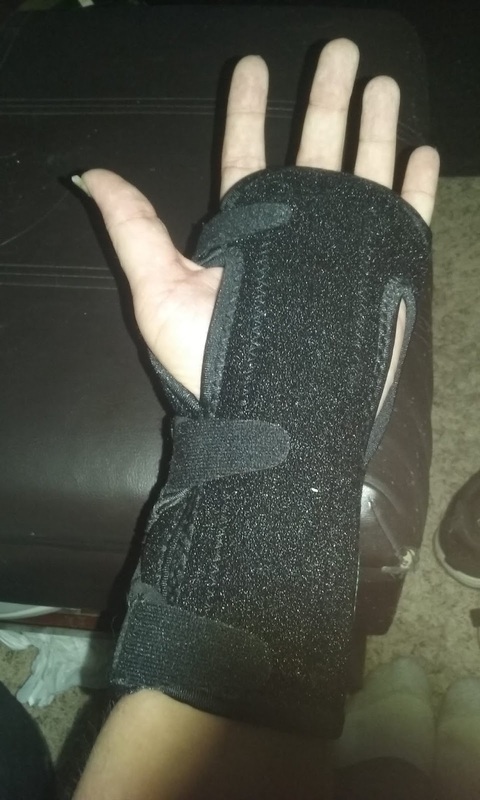 She has carpal tunnel pretty badly and a bunch of pain in her wrist and hand. 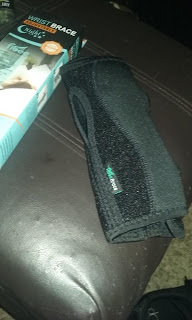 The very first thing she told me, was how comfortable this brace was, compared to the one she had been using. 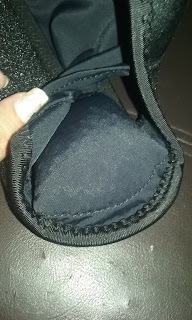 You can loosen or tighten it as much as possible to make it how you want it. 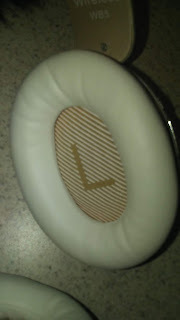 Plus, the palm section includes a nice beady feeling cushion. So no matter where you have your hands, your palm will be comfy. 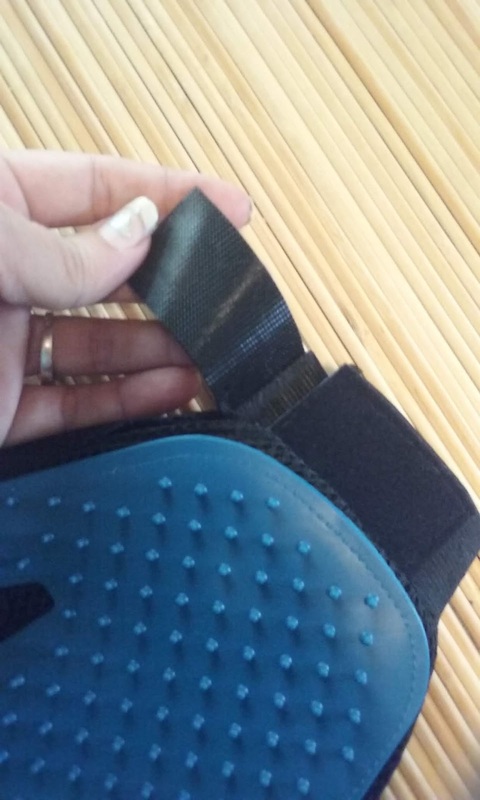 Your arms do get a bit sweaty, but that will happen with any brace. I'm not sure if it can be washed or how you take care of the wet or the eventual smell. Thank you so much for reading. what's one thing you use to be able to do as a kid, that you can't do anymore? Let me know in the comment section below. I received this product at a discount in exchange for my honest review. All opinions are 100% honest. 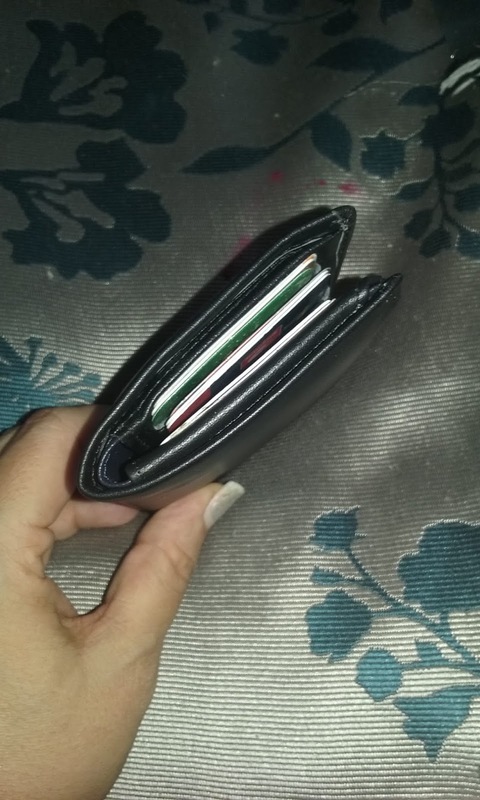 Tri Fold Your Way To A Better Wallet. Basic things in life are interesting. Some people go for top of the line all the way, while others can barely afford them. No matter what, they have to be replaced, and pretty often. 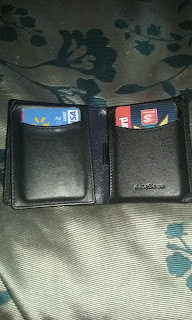 One of those basic needs for men, is a wallet. It's like their own personal space, like a man cave in their pants. Have noticed how quickly these things wear out? My husband has to get a new one every year or two. 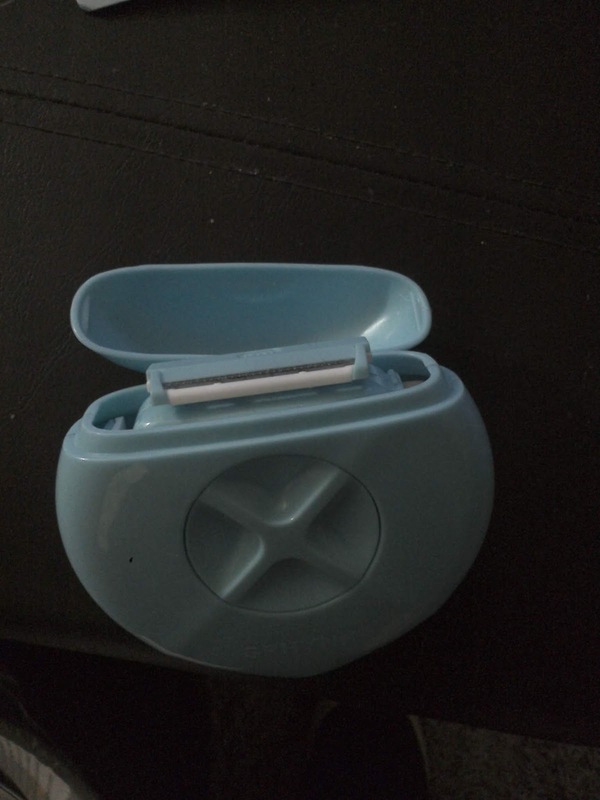 Obviously that isn't the same as disposable razors or deodorant, which cost more a year. I just assumed they would last much longer than they do. I'm thinking this RFID tri fold wallet from Amelleon might outlast the average. It's beautifully made, all the stitching is straight and not falling out. No loose strings, even after my husband has used it for two weeks. It has so many pockets, you can keep a lot of things. It will of course get bigger with the more you stuff inside. The wallet may not end up smaller than your current one, but I bet your current one doesn't have as many hidey spots. 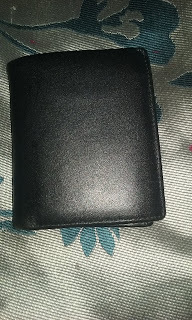 Another great thing about this wallet, and that, is the fact that it is RFID protected. Everything in your wallet is safe from identity theft. It is a great thing to have for protection and no one even knows it is there. 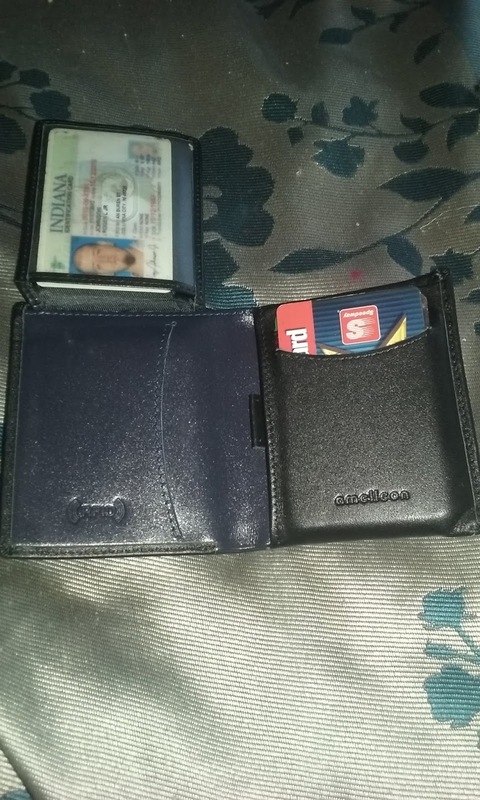 Just a normal looking wallet! Thank you so much for reading. My favorite purse was the old school animal cracker boxes. What was your first wallet or purse or your favorite? Please let me know in the comments below. Listen to the bass drop with Riwbox. There are many things I enjoy in life. Music is one of those things. It can make you happy when you are sad or even more sad if that is what you're going for. It works the same for all emotions, for me at least and I need my music. Headphones that let you hear, every treble and every bass are the best kind of headphones. You get the ability to really feel the music down to your bones. Most headphones only give you one option..flat with a possibility of a little bass. That option is fine, but what if you could have better? 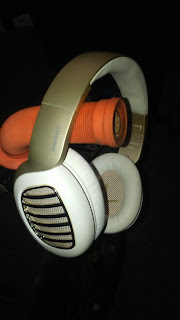 In my opinion, these bluetooth headphones from Riwbox are better. There are many reasons why I say this, I will start with the most impressive. It has an equalizer built in. That means, you have more options than just the flat. With a click of a button you can change the bass and treble and there are a few different options. 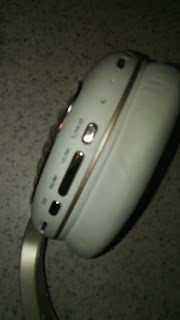 The speakers are exceptional with the equalizer and you really get a nice crisp clear sound. If you like bass, you can choose how much you want on any given day or time. 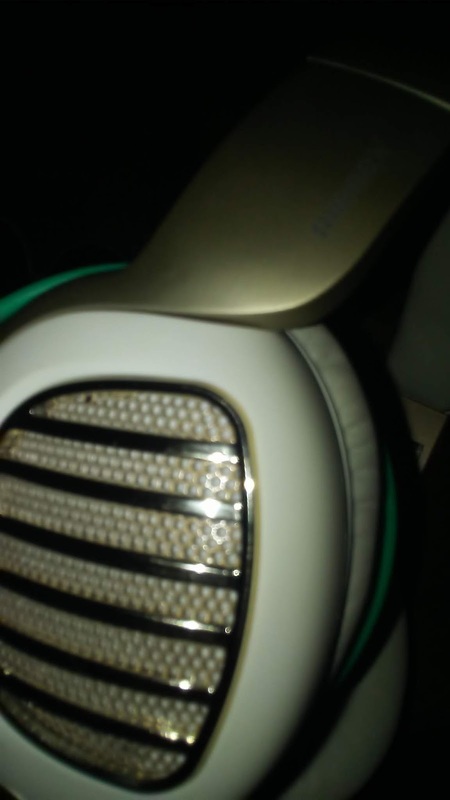 The headphones I received are white and gold and include many fun details on the outside and the inside. Including an L and R on the fabric inside the speaker so everyone knows which way to put them on. 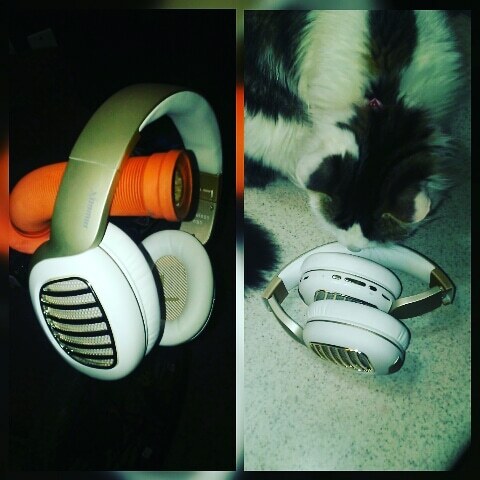 Like most headphones, you can make them bigger or smaller depending on your head size. The extra cushioning on the top protects your head pretty well. They haven't given me a headache yet. 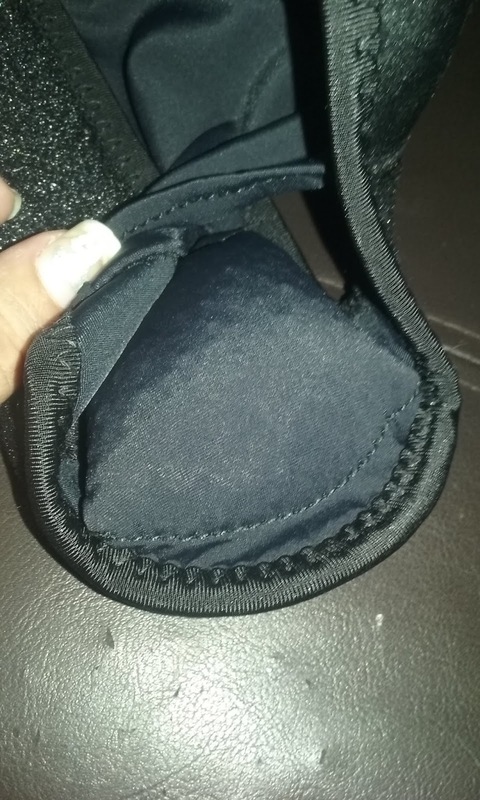 The best part about the cushioning? They are soundproof. You don't have to worry about someone hearing what you are listening to, or bothering a sleeping person with your music. As always, thank you so much for reading, I couldn;'t do this without you and I appreciate each and every one of you. Today I want something different. I would love to fill the comments with motivational words, make someone's day! 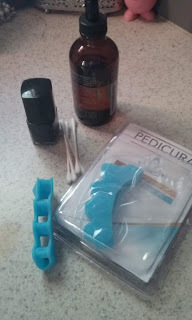 Fix Those toes With Pedicura. A lot of different things bother people. For me, it's feet. To me, they are all gross and I hate even looking at my own. No idea what brought on this irrational behaviour, but, it happens. My feet came from my mom and my dad. The size 10 is dad and the big toe migrating to the right, is my mom. I remember growing up wondering if her feet hurt, especially in heels... and then as I got older, my feet started to do the same thing. 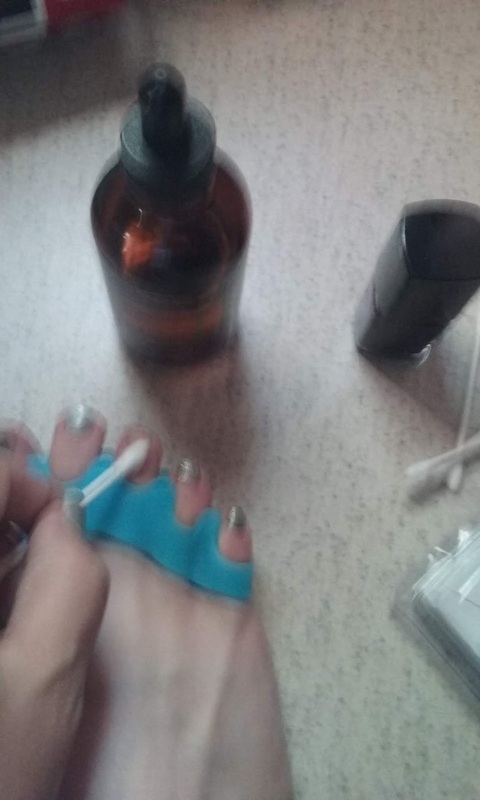 At first, I thought these were normal seperators, like you use for pedicures, but it is really so much more. 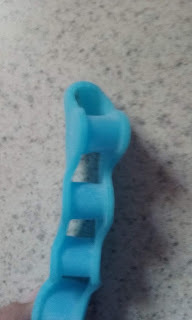 I might actuallly be able to fix my right foot with these little pieces of silicone. You know they say beauty is pain right? Well, these are no different. the first few times you wear them, they are very uncomfortable. basically the 10 minute wear time, was something i didn't want to do. After about a week of doing it every day, I started getting use to it. To make the time go by quicker, I give myself a pedicure while my toes are already in position. lol For me it helps speed up the whole process and makes me happier and less stressed. I have only been using this for about a week. My toes aren't magically fixed, it will take some time. That being said, I can't tell you how well this product works in the end, but it seems like it might be working a little bit now. 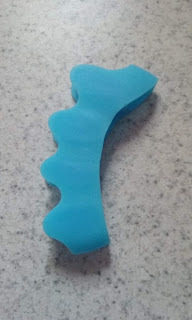 As far as the product goes, the silicone is very nice. You can stretch it as much as you want and it shouldn't break. As long as you are just stretching it to get it on your toes. Plus it cleans up pretty easily. 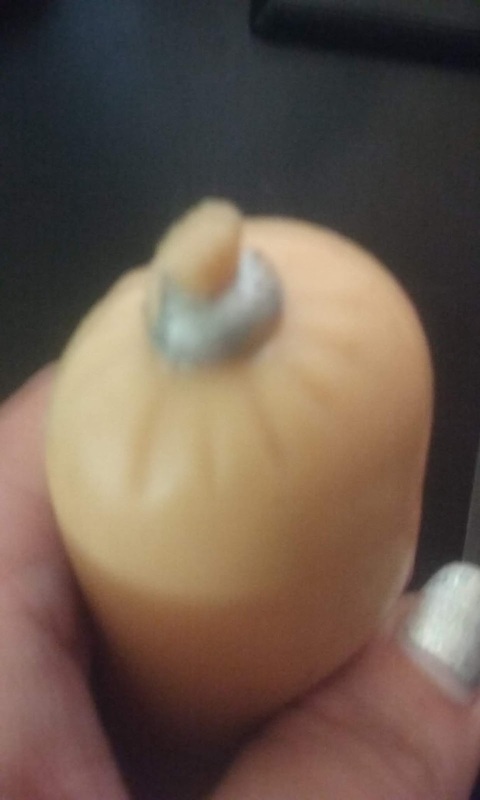 As with all silicone, it may collect hair. I like it so far. You can find it on Amazon. Thank you so much for reading everyone. getting my eyebrows threaded, was probably my worst beauty pain, what's yours? I received this product in exchange for my honest review. All opinions are real and are my own. Stress can hit us all, and often times, it's when we are at our lowest points. We all get to that moment, that one breaking point, that we just can't take any more. That moment when you just want to strangle a pillow or break a pencil. 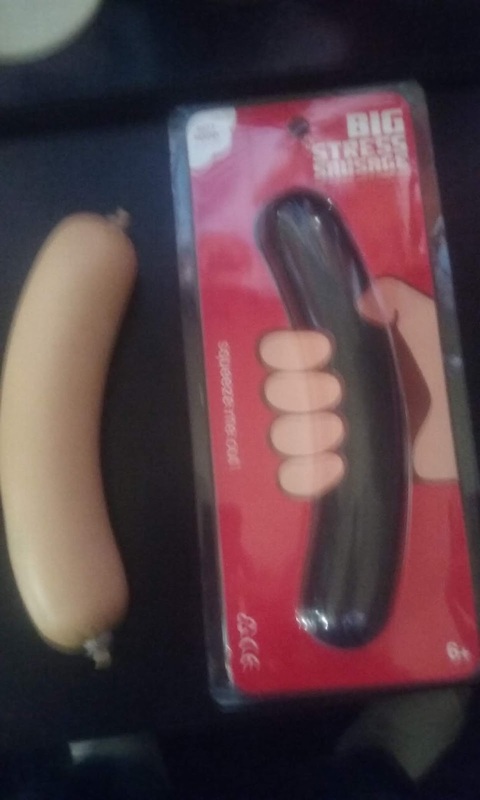 In those moments, all you have to do is pick up this Big Stress Sausage and give it a squeeze. You can strangle or rub, depending on your level of stress, your stress and annoyances away. These stress items have been popular for awhile, but lately random items shaped like food, is pretty popular. Between squishes and these, my nieces make me hungry when they play. When you look at this, you see it even has the fake metal rings on the end, just like a real sausage. The flesh color is nice and realistic looking. 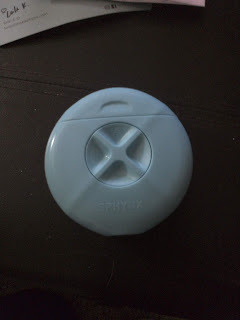 I'm not sure what is inside, but it feels almost like a powder. 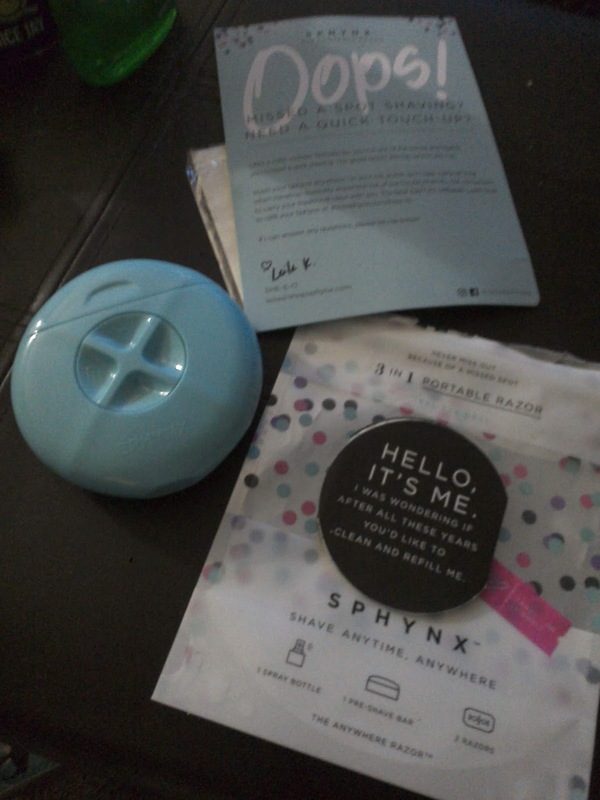 I decided to really test out this product a few days after it arrived. Many people had already had their hands all over my sausage by then, so it was well squeezed. My husband and I went to the drive in with a friend. He is a bit of a..kind of a.. ok I can't sugercoat it, he's a LOUD eater. Since it is fleshcolor, it gets dirty very easily. 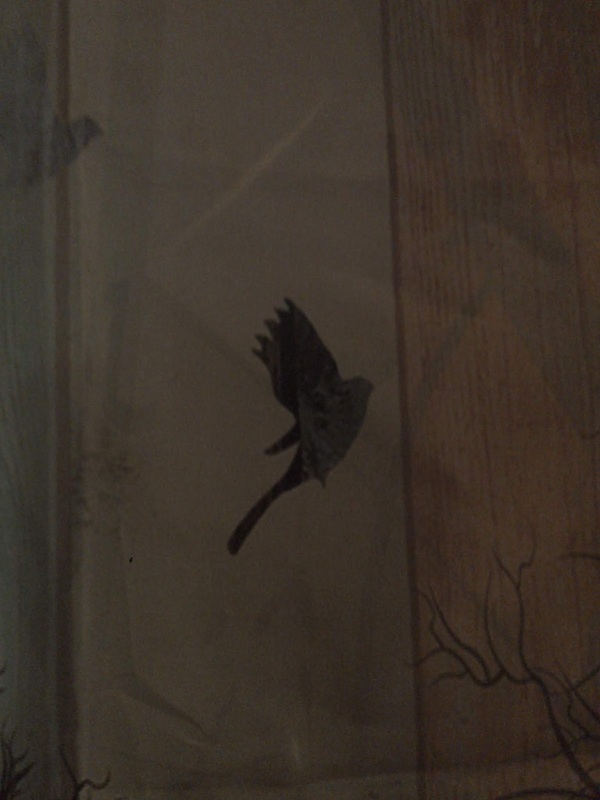 So far, it has dirty finger marks, cat and human hair, and even the imprint of a newspaper. 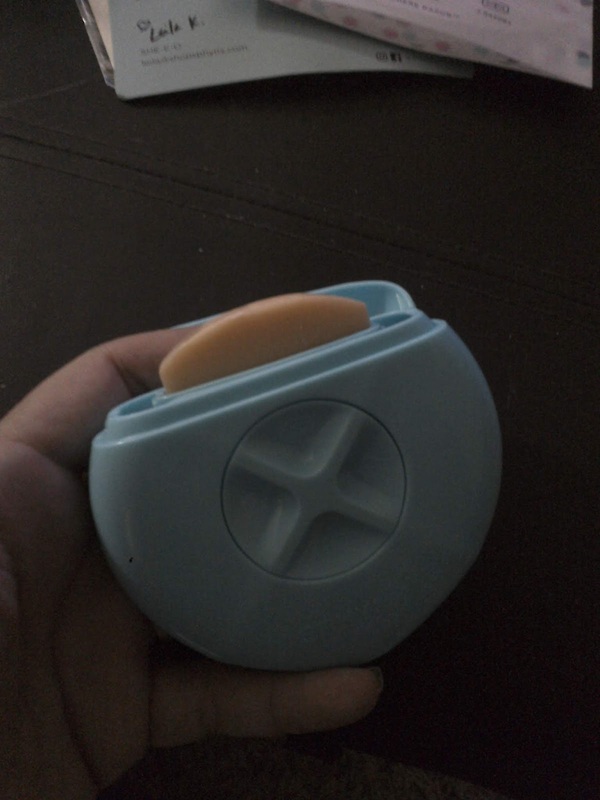 Everything sticks to this thing, so be careful and use clean hands. If I could go back, I would store it in the container it came in when it wasn't in use. 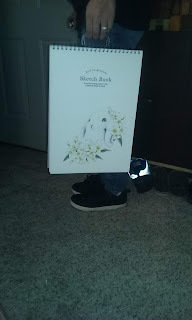 Also and this is a big thing for me, but it won't be for you because you obviously won't see it, BUT in the pictures i saw to review this, it had a face. 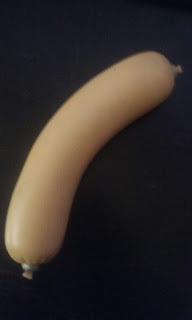 Obviously that face was just for the pictures but, it was a big reason as to why I wanted this sausage. I'm probably going to draw the Sausage Party face on it to make it a happy sausage. 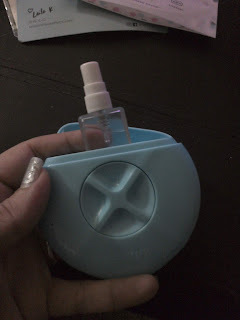 All in all, this does work well for stress, you just have to make sure you take care of it and only use it with clean hands that are hair free. Now squeeze that sausage and just breathe! As always, thank you so much for reading everyone. I couldn't do this without all of you! I need new stress relievers, please let me know your tips in the comments below. It never fails, you shower and shave your legs, dress up, and then head out. Once you get where you are going, you look down and see spots of hair that you somehow missed. You're screwed right? Maybe not. Sphynx Would be perfect for this situation. I know I could have used it more than once. I know what you're thinking, and I had the same thought. What's Sphynx? Sphnx is a 3 in 1 on the go razor, and i'm not going to lie, it's Amazing! On their own, they are all pretty amazing, but together they form a really cool product. To start out, you put the dial on the spray. Slide the bottle out and fill it with water and replace. Give yourself a spritz on the spot you need to shave, then turn the dial. The next thing that pops up, is a nice balm that you spreadd over the spot. One more click and you found the first of two razors. Use it and you're all done! I really lve everything about this product. The ease of carrying everything you need in the case of an emergency is awesome. Plus it won't be loose all over your vehicle, because it is all packaged up together. The best part? It really works! Go and check them out, they have 3 other colors to choose frommmm as well. As always thank you so much for reading. Let me know what you think of this product in the comments below! My mom use to have all kinds of pictures on the wall. Traditional pictures in the frame, besides the American Flag that is. Every single time she did it, she put holes in the wall except the flag. The fabric was lightweight and easy to hang in other ways and it looked prettier on the wall than the frames. the only downfall? 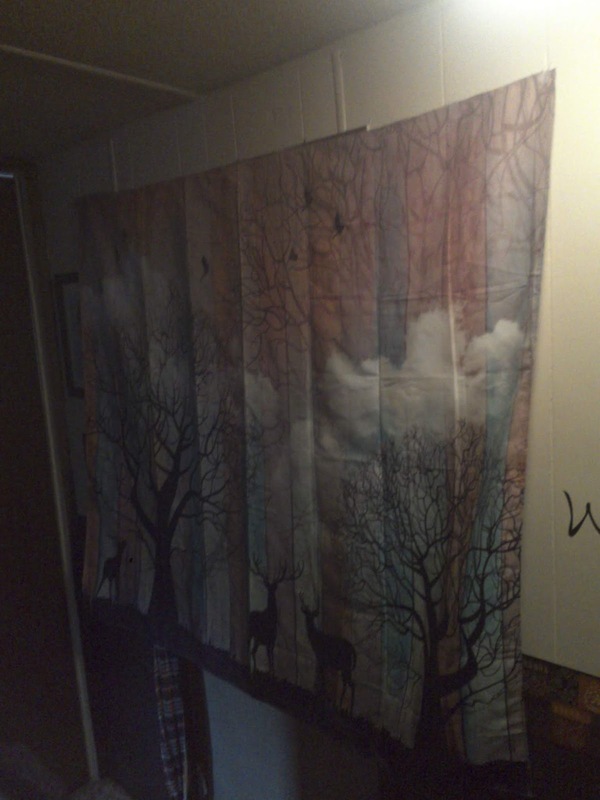 It took up a lot more room, so you couldn't really move it around the house. This beautiful tapestry has an outdoor forest theme. The trees and animals really pop off the colorful background. It's almost as if it was made from two different ideas, but it really works! Checking it all out, I noticed that the stiching is beautifully done. 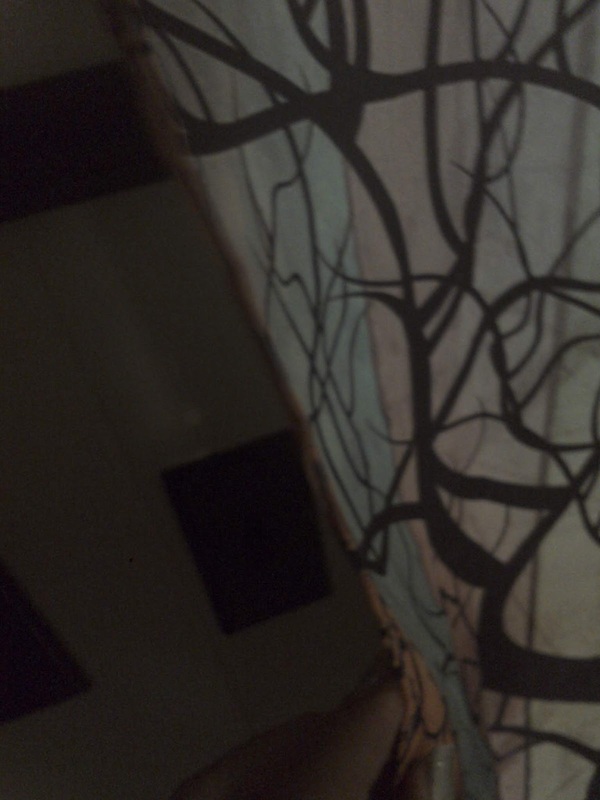 It does have wrinkles from being folded up and placed in the bag, but you could easily steam those out. 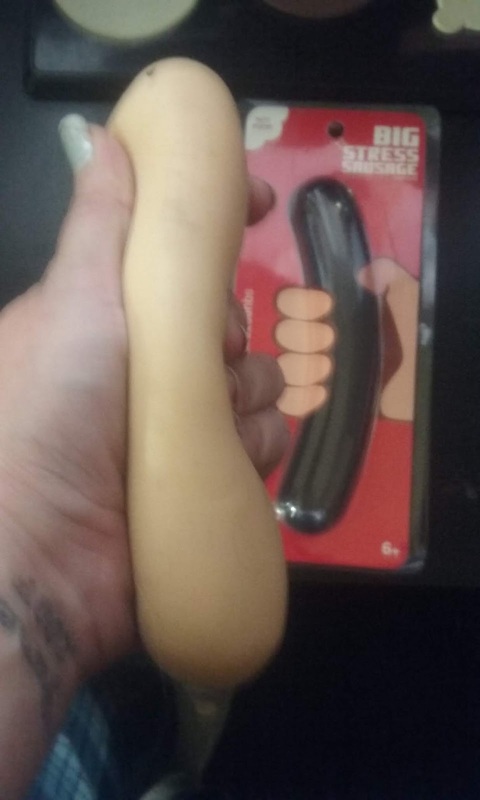 I am notorious for not checking the dimensions of products and this is definitely one of those times. When laid out, it almost covers up our whole queen bed. It is HUGE! Like I was saying earlier, if you have a small home, like I do, you may just want to pick the perfect spot and just leave it there. No matter what though, this thing is beautiful. I find it much more appealing than my traditional frames and canvas on the walls. 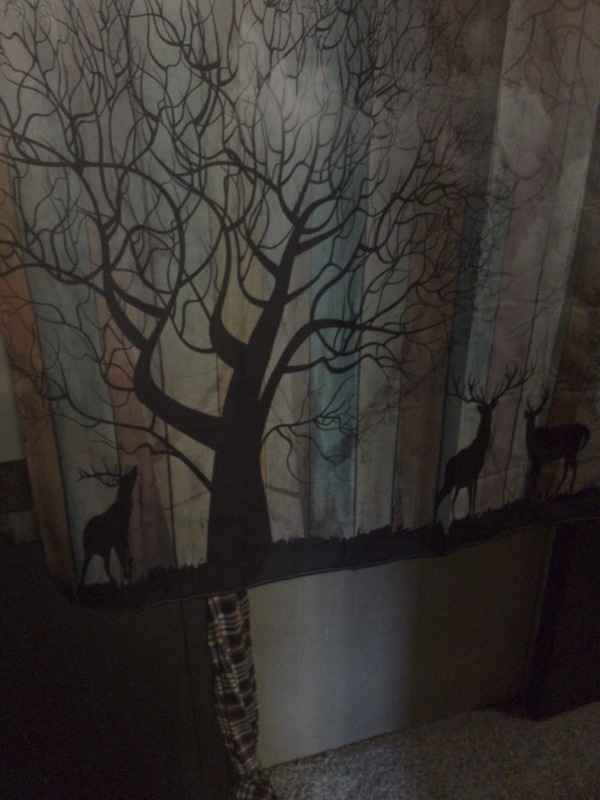 You really have to check out this lightweight tapestry. Go look! As always, thank you so much for reading and let me know what your favorite piece of art is, in the comments below.